Neon networks in the corners of the screen.Abstract network connection background. Technology and Connectivity Concept. Molecule And Communication Background. Seamless loop. hd00:15Colored bond systems in the corners.Plexus structure evolving in organic motion. Abstract technology, science and engineering motion background. Seamless loop. hd00:30Abstract beautiful geometric background with moving lines, dots and triangles. Plexus fantasy abstract technology. hd00:15Multicolored laser tubes in the corners of the screen.Abstract futuristic, polygonal space with connecting points, lines and triangles. The concept of science, business, space. Loop animation. hd00:15Organic structures in corners. Place for text. Blue plexus and lightning abstract technology and engineering motion background. Original organic motion and depth of field settings. Seamless loop. hd00:12Plexus of abstract red geometrical lines with moving triangles and dots on a black background. Slow motion. Loop animations multicolored. hd00:15Shining souls. 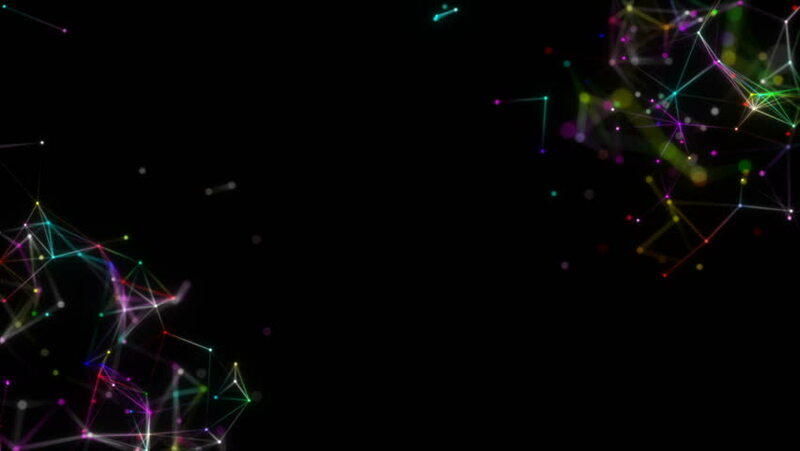 Animated digital background. Place for text. Seamless loop.